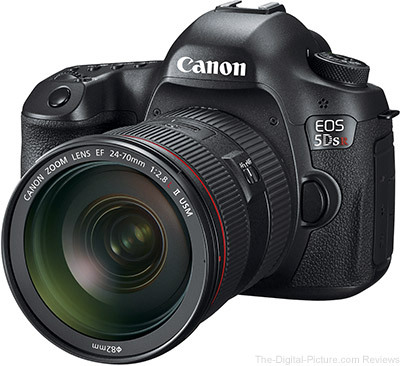 Image quality results from the EOS 5Ds R and EOS 7D Mark II have been added to the Canon EF 16-35mm f/2.8L II USM Lens Review. Lots of comparisons are able to be made using this lens. 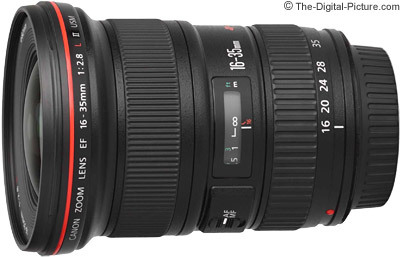 B&H has the Canon EF 16-35mm f/2.8L II USM Lens in stock with a $150.00 instant rebate and 4% reward. TOKYO, February 29, 2016—Canon Inc. announced today that seven Canon product designs were recognized by iF International Forum Design GmbH with prestigious 2016 iF Design Awards. Notably, Canon’s XC10 4K camcorder was selected for the iF Gold Product Design Award 2016, the highest honor in the product category. Established in 1953, the iF Design Awards are recognized internationally as one of the most prestigious awards within the field of design, with outstanding industrial designs chosen from all over the world each year. This year 5,295 entries from 53 countries and regions were judged by internationally active design experts across seven disciplines: product, packaging, communication, interior architecture, architecture, service design, and professional concept. This year marks Canon’s 22nd consecutive year of winning iF Design Awards. Encouraged by the recognition of the Company’s design excellence, Canon will continue striving to realize products that combine the highest levels of performance and design. B&H carries Canon's iF Design Award winning products. In this video, Chase from Zacuto briefly demonstrates cinematic lighting set ups that filmmakers can use for 4 popular film genres: Noir, Romance, Horror and Sci-fi. Starting with sci-fi, the team creates a colorful, other-worldly look with textured backgrounds and multiple lights. For noir, they demonstrate what can be done with just one powerful light along with careful placement of light modifiers to create a classic look. The romance look teaches the importance of soft, high-key light, and how to turn set pieces into diffused light sources. Lastly, the horror look shows how to create a frightening atmosphere with shadows and fog, plus you’ll get to see a clever practical light trick. As you might ave guessed, B&H carries most of the supplies needed for these cinematic lighting setups. USA TODAY photographers Robert Hanashiro and Dan MacMedan give us the scoop on what it takes to shoot the Oscars--from red carpet arrivals to emotional moments backstage. TOKYO –February 23, 2016 – Nikon Corporation is pleased to announce the release of its renewed online photo sharing service, "NIKON IMAGE SPACE". This latest version of the service was launched on February 22, 2016. We plan to offer collaboration with SnapBridge, our new app announced in January, 2016, that enables constant connection between a Nikon digital camera and a smart device using Bluetooth low energy. This will enable automatic upload of an unlimited number of 2-MP images to "NIKON IMAGE SPACE" from SnapBridge with a registered Nikon ID. In this article series you will learn valuable information for photographing weddings. Weddings can be the most important day of a couple’s life, and the photographic memories are a wonderful gift and keepsake. If you have a better-than-average camera, someone will eventually ask you to help photograph a wedding. My best advice to you is to let a professional handle this often stressful and difficult task. If however, you feel you are up for the job – the one of capturing the most memorable images of someone’s lifetime – then here are some helpful tips. Check out the Canon Digital Learning Center for all the helpful tips. As any parent knows, getting a child to cooperate in front of the camera can be an exercise in futility. Why won't they just do whatever we say and stand wherever we want and smile with just the right number of teeth showing? Do they have to be so difficult? Well, the short answer is yes. They do. So, we can either choose to nag and whine and complain and beg (I'm guilty of all four) or we can try to figure out ways to get them to cooperate. Whether you are photographing your own kids or someone else's, sometimes those kiddos just aren't interested in posing for you, but here are some tricks I use to get cooperative kids. Check out the full article on the Canon Digital Learning Center. 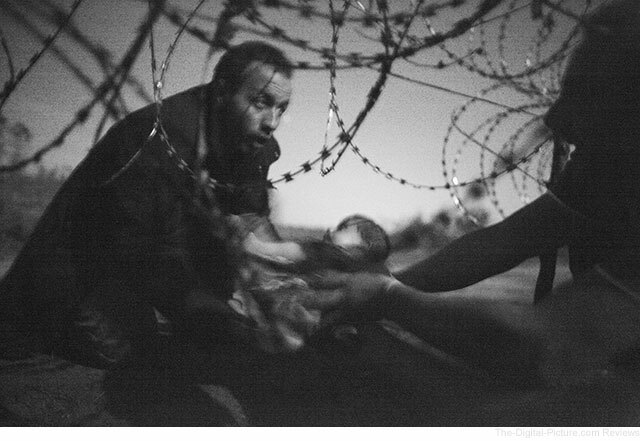 Further information about World Press Photo is available at www.worldpressphoto.org. In this video, the show How It's Made demonstrates how tripods are produced in one of Manfrotto's manufacturing facilities in this quick three minute video. Standard test results, including specs and measurements, have been added to the Nikon 16-80mm f/2.8-4E AF-S DX VR Lens page. The extra focal range and wider maximum aperture of this mid-range zoom will be tempting features for those wanting to upgrade their standard 18-55mm kit lens. 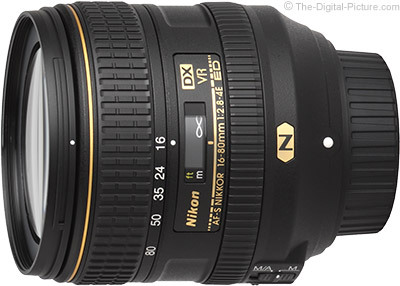 B&H has the Nikon 16-80mm f/2.8-4E AF-S DX VR Lens in stock. In this highlight, Artie and Denise share the methods and techniques that they have developed and used for bird photography.